World Mental Health Day is observed on Oct 10th every year. Mental ill-health is much bigger now, maybe due to today’s fast paced, stress-filled life. Depression, a persistent feeling of sadness is something which is often overlooked, thinking that it’s a passing phase or that time will heal it and that one need not do anything about it! But the truth is that depressed people, in addition to family and friends’ support may also need professional help! A lingering feeling of sadness, gloominess, under-eating, overeating, not dressing well, not taking care of one’s appearance, not happy over any achievement, remaining isolated, avoiding company of people, marked change in behavior etc.are some obvious markers. Noticing these early signs of depression helps us respond quickly and more effectively. Also read Depression has negative effects on your body. Take the example of Maya. Maya was going through a bout of severe depression Most of her friends and family members ignored her repeated complaint that she was feeling depressed. “It will pass”, was the common reaction. It was only after her attempt to commit suicide by swallowing an overdose of sleeping pills that her husband took heed. She was taken to a therapist and given intensive treatment. A fortnight later, she was almost completely her normal, chirpy self. 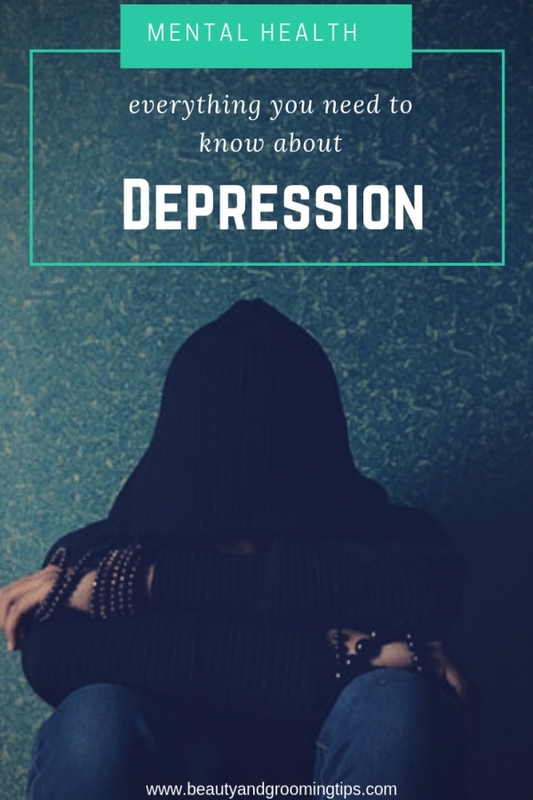 While the levels of depression, in some cases may be quite low and the person may recover within a few hours or days, there are also cases of high levels of depression, which have even led people to commit suicide. The frustrations, problems and tensions that a person experiences in the fast tempo of modern life could be one of the causes for the growing rate of depression in today’s people. The incidence of depression is on the rise with each passing year. Studies show that women are more susceptible to this problem. Today, depressive illness probably affects 1 in every 15 persons and unfortunately its nature is often misunderstood. In an older man, depression is often seen after retirement, when he no longer feels useful in society and does not have much to occupy his mind. One finds tiredness, lack of drive and overall low feeling in such persons. Everything is an effort. There is a reduction in weight, appetite and sexual drive. There is also a lack of initiative, a tendency to worry over trivial matters together with a gloomy outlook and a lack of interest in everything. The person may wake up in the morning in a pensive mood, feeling very depressed but may feel better as the day progresses. These symptoms may lead the person to drink or smoke heavily. A typical case is Mr. Tyagi who has just retired and has not developed any useful hobby. He gets up in the morning with a heavy dejected feeling, grumbles over his breakfast and read the newspaper till noon. Mrs Tyagi has to keep pushing him into everything. He does not even have his bath till she literally plls him out of his chair. He is not an isolated case. There are hundreds of such people. In a younger person who is also very sensitive by nature, depression may show up in a different manner. It is characterized by insomnia, a tendency to have increased appetite, weight and sexual drive. Symptoms of fatigue, irritability and aggressiveness are present and area remarkably heightened towards the end of the day. A high degree of tension coupled with frustration and failure are the chief causes of depression in younger people. Women are, by far, the easiest prey to this malady. Women in the menopausal stage of life, pregnant women, women who just have had their baby and women who experience exaggerated syndrome of premenstrual tension are most vulnerable. A pregnant woman also faces depression due to the hormonal changes that are taking place in her body. Similarly, a woman who takes oral contraceptives may also experience the same sort of depression. All these indicators point towards a clear nexus between the change in hormonal levels and emotional and psychological levels. Biochemical and hormonal factors may induce depression in an otherwise healthy individual. There is a close link between the endocrine and the nervous systems. When any hormone is out of balance, the emotions are affected. 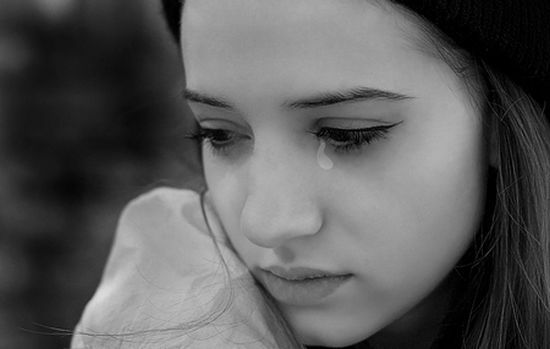 Women tend to cry for no apparent reason and feel miserable. Medical researchers have reported a difference in various blood-hormone levels between depressed and non-depressed persons, clearly indicating that moodiness is caused by the fluctuation of hormone levels in the bloodstream. Women who suffer from the premenstrual syndrome (PCOS) also experience these depressive emotional symptoms. Whenever there is a rapid drop in oestrogen and progesterone, or any other hormone for that matter, it is quite possible that psychological reactions will also be triggered off. Our emotions are strongly affected by our physical well-being, and vice-versa. When you suffer from a severe headache, flu or feel feverish, you not only feel physically drained but yoru attitude towards the world around you changes too. You don’t want to talk to people, feel short-tempered and your outlook becomes negative. Your physical condition leads to this emotional state. This improves when you feel better, physically. Stress situations, overwork, unhappiness at home and work also contribute to a depressive outlook. Insecurity, doubts about self-worth, also give rise to a feeling of despondency and depression. Another aspect that is frequently ignored is the link between nutrition and the mental state. Emotional problems can be a non-specific reaction to a poor situation. A diet lacking in any of the vital nutrients required for the physical well-being of a person can bring about a vague moodiness and unexplained depression. 1. Vitamin B-1 (Thiamine): Lack of this vitamin causes irritability, depression, loss of appetite, loss of memory and inability to concentrate. 2. Vitamin B-3 (Niacin): Lack of it can cause insomnia, nervousness, confusion, irritability, depression and hallucination. 3. Vitamin B-12 (Cobalamine): Lack of this causes difficulties in concentration and remembering, agitation, depressive behavior and maniac-behavior. 4. Pantothenic acid: Lack of this causes depression and inability to tolerate stress. 5. Potassium: Lack of this in the diet can cause nervousness, irritability and mental disorientation. 6. Magnesium: Deficiency of this can cause paranoid psychosis. 7. Calcium: Deficiency of this can cause neurosis, anxiety, fatigue, insomnia and tension. For treatment, a nutritious diet combining vitamins, minerals and amino acids are prescribed by psychiatrists and doctors. The amino acids commonly recommended for relieving anxiety and depression are L-Tryptophan, L-Tyrosine and L-Phenylalanine. Tryptophan is found in a wide variety of foods including eggs, soybeans and dairy products. Phenylalaninine is found in most protein rich foods like chicken, fish, eggs, almonds, peanuts and baked beans. Women with hypertension should not however, should not take large amounts of this. Tyrosine is found in aged cheese, beer, wine, yeast, ripe bananas, avocados and chicken liver. Maintenance of a constant level of glucose in the bloodstream is also very important for one’s well-being. The brain and nervous system are especially sensitive to disturbances in blood glucose levels. Exercise is now considered more effective in relieving depression than most commonly used tranquilizers. Aerobic exercise of the sort that increases the pulse rate should be done for at least 20 minutes, 4 times a week. Walking is also a very good form of exercise. Meditation, a gift from the east to the world, has proved to be of great significance in relieving stress and related problems. Recent studies have also found that yoga is superior to other forms or exercise in relieving anxiety, depression, post-traumatic stress etc. The main conclusion that comes up is we have to reduce the nerve-fatigue that is hounding us. Stress has to be avoided without effectively slowing down the pace of life. need to do little bit of Meditation 2 times a day as Meditation helps our mind in proper thinking.You should try,try and try till you achieve.The worst thing in this world is not to try.You should make your mind that you will forget your past and take care of your future as future is everything and past is nothing.Past is gone,it will not come back and we cannot change it. Counseling will help you get to the heart of what's going on inside, so seek out a good counselor, when you get going on the meds. I have battled with depression all my life.